Have to say, you guys are putting me in the mood for an old roadster. 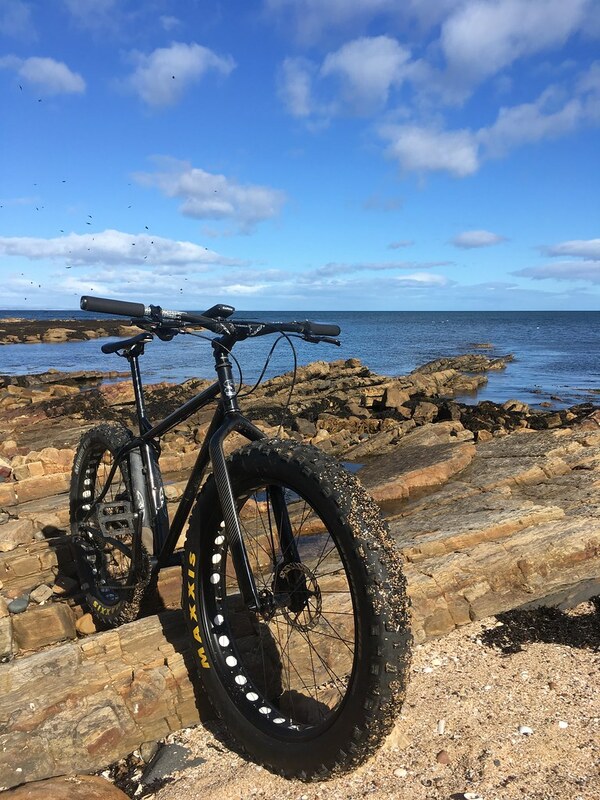 Would be fair to say I've not been feeling the love for the fat bike this year. Apart from Fat Forth weekend, it's barely been out. It's always been kind of a bad weather bike for me and this summer has just been so dry, but after this weeks rain I knew the local trails would be soaked so thought it a good chance to go out and explore somewhere new. Been thinking of checking out the Fife coastal path for a few years but never got any further than Tentsmuir. 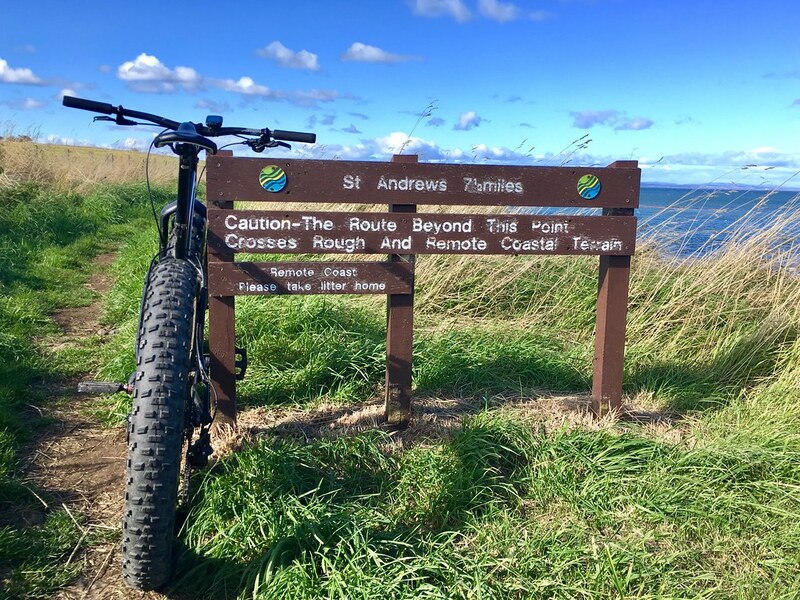 Last nights plan was to start in St Andrews and head east, but a quick google this morning ( ) suggested that was the worst cycling of the whole route. Luckily the next section along was regarded as one of the best, so I decided to start at Boarshill and head for Crail. Trail started with some gorgeous riverside singletrack leading down to the beach. Once down at the beach the main path follows the shore line with lots of little secluded beaches to drop into and play around in. Was nice and varied from sandy section to techy eroded rock lines. That last one was taken very low down and was only 3-4 inches high! 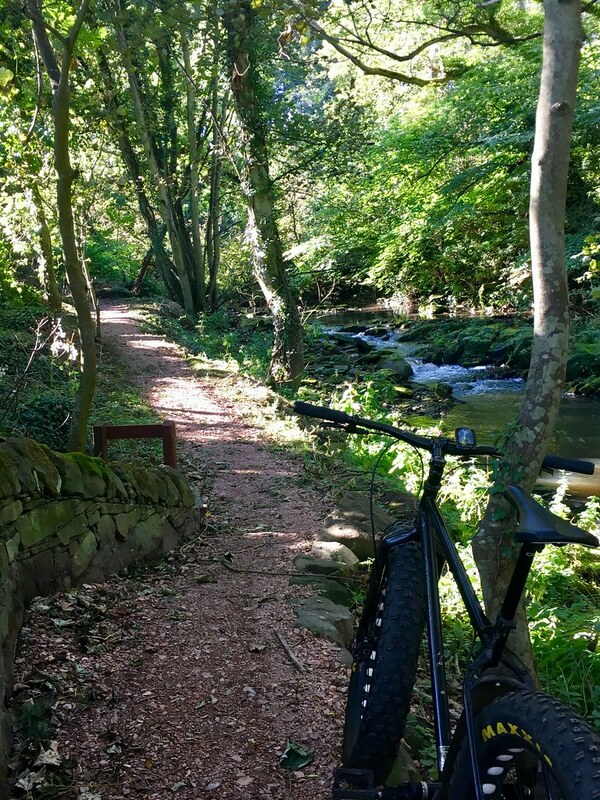 Was glad I was on the fat bike as the main path is pretty rocky and rough in places but the Pugsley cruised over it with ease. I know people who've done it on a 'cross bike, but wouldn't fancy it myself. If you were avoiding the beach sections I reckon a plus bike would be great, but you'd miss a lot of the fun of the beach stuff. With the Pug I was able to ride a lot of the way along the shore, which was nice around Kingsbarns as it meant I was able to avoid a lot of the main track that ran through the golf course. After rounding Crail golf course I came to my least favourite section through Kilminning nature reserve. The path was ok, but with the tide reaching its peak I was forced off the beach. This meant a few carries up an over the headland into Largo caravan park. Thankfully Crail came into sight as I was in desperate need of a coffee. Unfortunately the village was really busy and the cafe at the harbour was full, so I resorted to a take away latte and the jam bagel I'd made this morning, nice and gooey after a morning stuffed in my camelbak. As I headed back to the car, the lovely tailwind I'd had all morning turned into a vicious headwind. 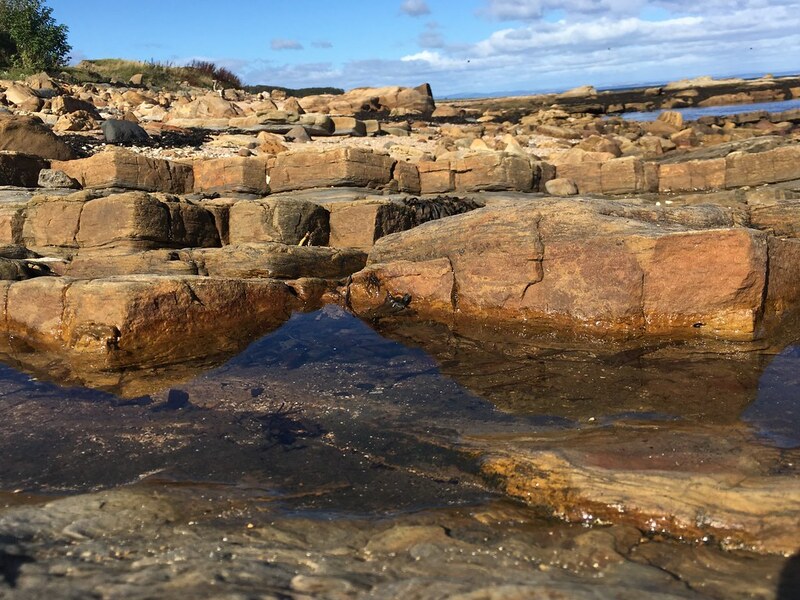 I also didn't fancy the carry back over the reserve, so I took a cheeky road shortcut back to Kingsbarns golf course, where I could pick up the best part of path again. I think this sign is meant to be a warning, but to a fat biker it's just the encouragement needed when the legs are getting weary. Tide was just starting to retreat as I headed back, washing away my earlier tyre tracks leaving a blank canvas for the next passers by. Sticking mainly to the path this time, I had a lovely view back over the Tay towards home, only 15 miles away as the crow flies. That looks and sounds like a really good route, nice and varied. You also look like you had pretty good weather, we have the wind up here but we have had rain most of the day with it. It's always good to get out on the Pugs and yours looks as good as always. Weather really good. Blustery wind but warm at least. Your information regarding St Andrews heading east is indeed correct I've walked and cycled it in the opposite direction (on the Galaxy) then cycled back to the car which I left in Elie. Me and my work colleagues did a sponsored ride/walk from Dalgety Bay to St Andrews. 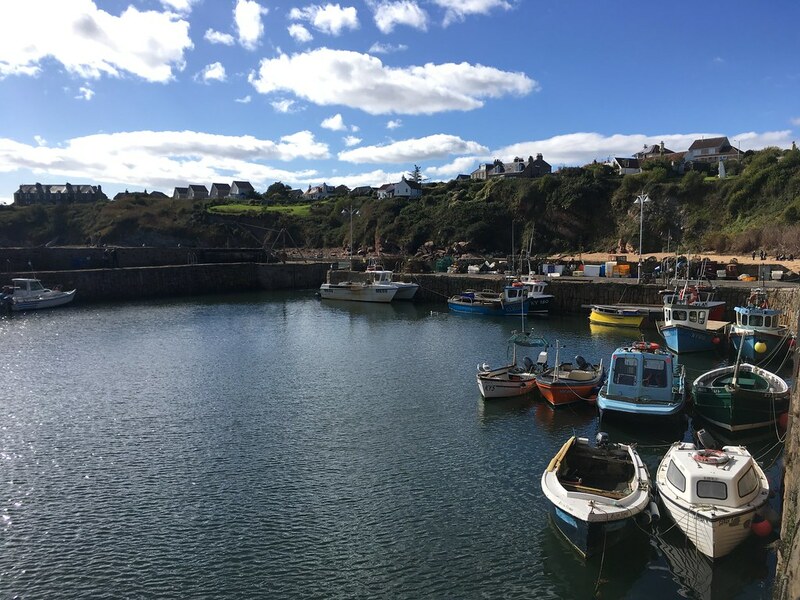 We cycled from DB to Elie then walked from there to St Andrews, I'd reccid it on my own the weekend before the Elie to St Andrews section using the Galaxy. BTW Jamie, my cull is going really well, I picked up a 1935 BSA frame, and a year unknown lady's Gazelle Impala with rod operated drum brakes - coupled so both wheels brake from either lever. That sounds bizarre - is that so the lady could continue smoking her pipe whilst braking? Which model of hubs are on that? The Humber has Sturmey Archer LB hubs - the front one even seems to lock the wheel although there's a nut missing from the bottom of the actuating rod. The rear does something but doesn't lock the wheel, I dare say I'll find out why when I eventually get round to stripping it. Looking at the many service manuals and exploded diagrams around it seems incredible just how little S-A drum brakes have changed over nearly a century - from pictures at least it seems like you could probably make even current replacement shoe sets to fit even these 1930s hubs with a bit of minor fiddling! Looks great clubby, and just the inspiration to get out on the fat bike over the winter. Would be up for a winter ride round the coastal path for sure.